First of all, this non-compliant behavior is observed only on some Juniper devices, not all. 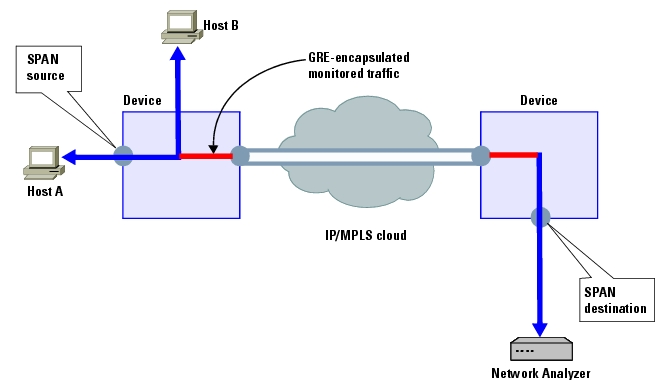 The potential effect of the observed behavior is such that certain OSPF routes fail to propagate as expected. Here is the scenario: SRX originally uses a loopback 10.0.0.11 for its Router ID. When that loopback was deleted, it changed its Router ID to a different address 10.0.17.4. This is expected behavior so far. However, a closer look at SRX OSPF database reveals that it still has LSAs with 10.0.0.11 (the old Router ID) as its Advertising Router ID. Note there are two desired behaviors when Router ID changes: 1) OSPF restarts; 2) originated LSA flushes. When that did not happen with JUNOS, the resulting behavior is that the old Router ID is still the “Advertising Router ID” in the LSA, an address that is no longer valid. Why is that a problem? Because these LSAs will be flooded to neighbors (assuming the router here is an ABR). The neighbor would have noticed the change of Router ID, and thus it will check the validity of Advertising Router ID. This field indicates the Router ID of the router advertising the summary-LSA or AS-external-LSA that led to this path. Since the neighbor sees the Advertising Router ID (the old Router ID) no longer matches the new Router ID, it will discard the LSA. When troubleshooting OSPF routing involving Juniper devices, check OSPF databases for invalid entries. To prevent such pitfalls, always set Router ID in OSPF. And more importantly, set Router ID using loopbacks, and make sure they are not accidentally deleted. Encapsulated remote SPAN, or ERSPAN can be used to monitor traffic remotely. In a Nexus 1000v environment, it is not feasible to attach probe directly to the virtual switch. Therefore it is particularly valuable to monitor host traffic using ERSPAN, by routing monitored traffic through IP network to designated network analyzer. A sample reference model is provided here, using Nexus 7000 attached probe as a common example. 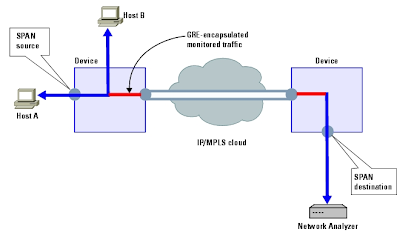 First, choose a routed VLAN (2000) to carrying ERSPAN traffic. Chose a subnet size that will accommodate growth of hosts (each host uses an IP address). To illustrate, 10.1.0.0/24 is used for VLAN 2000. Create a port profile for this VLAN on Nexus1000v, note this VLAN must be a system VLAN. Next, create a test ERSPAN session, for example, monitor VM on Veth88, send monitored traffic to destination 10.2.0.88. See Nexus 7000 section for destination configuration. Must be done from vCenter, for each host. An IP address in VLAN 2000 10.1.0.0/24 is required for each host. Reference Vmware configuration guide for details. The destination probe is connected to Nexus 7000. We’d want monitored traffic originating from Nexus 1000v, to be forwarded to the probe. The destination 10.2.0.1 specified by ERSPAN session (on N1kv) has an ARP entry in vlan 3000. There is also a corresponding static MAC address entry pointing to the port which the probe is connected. As a result, the ERSPAN traffic destined for 10.2.0.1 will be forwarded to the probe. ©www.seanxwang.com . Simple theme. Powered by Blogger.